Jai Prakash, 24, a resident of north Delhi's Jahangirpuri area, was arrested from near the Subhash Place on Saturday, police said. Used to carry out a reconnaissance of posh localities during the day and commit burglaries. New Delhi: A 24-year-old burglary suspect, known as 'Spiderman' among his associates for his prowess in scaling walls, has been arrested along with three accomplices, the police said on Tuesday. The gang was active in northwest, outer, west Delhi and Rohini areas, they added. Stolen goods worth Rs 50 lakh, including 19 high-end wristwatches, smartphones, more than 30 pieces of gold and diamond jewellery weighing about 500 grams and a licensed revolver with five live cartridges were seized from the possession of the arrested men, the police said. Jai Prakash, 24, a resident of north Delhi's Jahangirpuri area, was arrested from near the Subhash Place on Saturday. He had been seen entering a house at night after scaling its walls in northwest Delhi's Saraswati Vihar, they added. His accomplices -- Ravi Kumar, 22, Sanjay Goyal, 39, and Pramod Kumar Shah, 48, -- were also arrested on the same day. With the arrest of the four men, the police claimed to have solved as many as 53 cases of burglary. Prakash used to carry out a reconnaissance of posh localities during the day and commit burglaries at night, police said. At night, he would find a park in the locality to hide himself. He always carried an extra pair of black trousers and a black T-shirt whenever he had a plan to commit a burglary, they added. He would change his clothes in the park and remove his shoes before scaling the wall of a house, the police said. Prakash could climb to any floor within a few seconds, one of the reasons why he was known as 'Spiderman' among his associates, they added. He would always get himself acquainted with the topography of an area before committing a crime there. 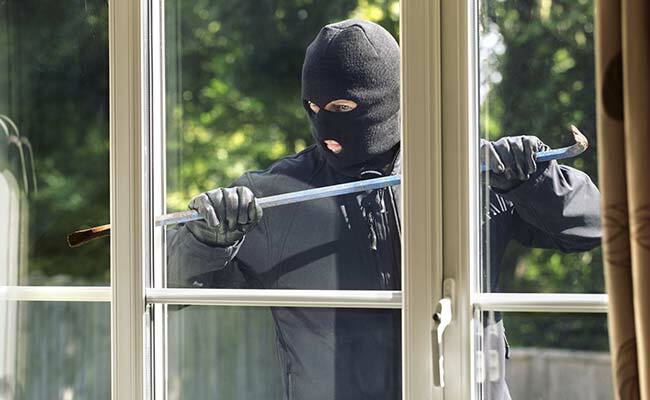 Prakash usually committed the burglaries alone but in some cases, he took the help of Ravi Kumar. He used to deposit a part of the stolen jewellery with a gold loan company and take cash in lieu of the pledged gold, the police said, adding that Goyal and Shah also used to help him dispose of stolen jewellery.